You'll love this easy lemon muffin recipe. The zesty orange glazing lends a fresh citrus note to these moist and delicious homemade muffins. You'll love eating them with your morning coffee or for serving to your favorite friends. Complete with illustrated instructions. 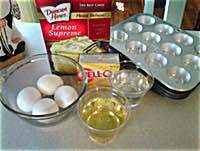 Follow the step-by-step instructions below, and you'll make the best lemon muffins you've ever tasted. Plus, you'll be able to use the same method to make other homemade muffin recipes from scratch. 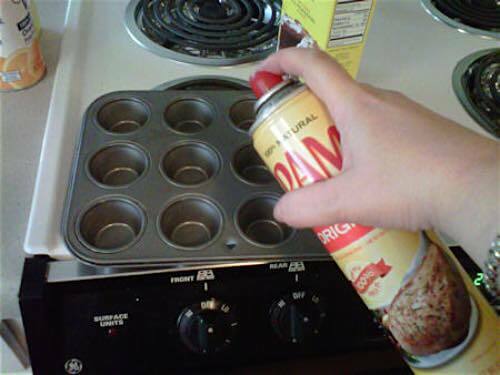 Preheat oven to 325°F and spray your muffin pans with cooking spray for quick and easy release of muffins after baking. 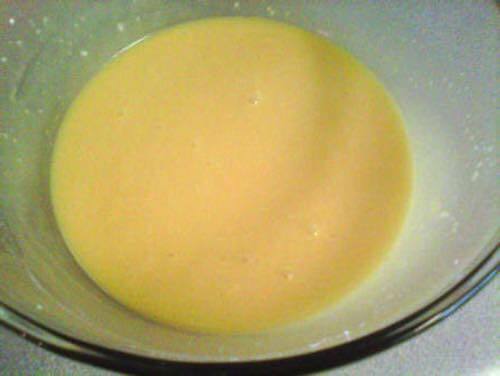 Combine cake mix, pudding mix, eggs, water, and oil, and beat ingredients together until thoroughly mixed. 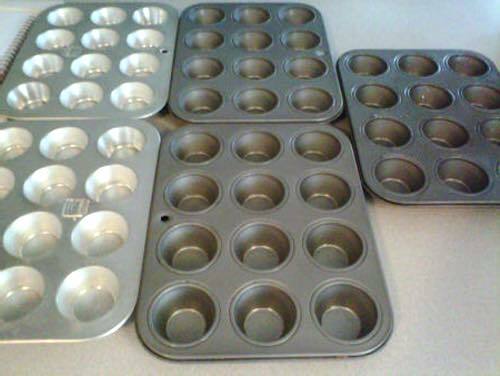 Arrange muffin pans in preparation for next step. 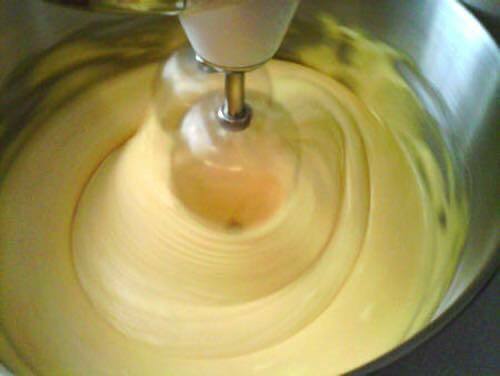 Add about 1 tablespoon of lemon muffin batter to each pan until filled about halfway. 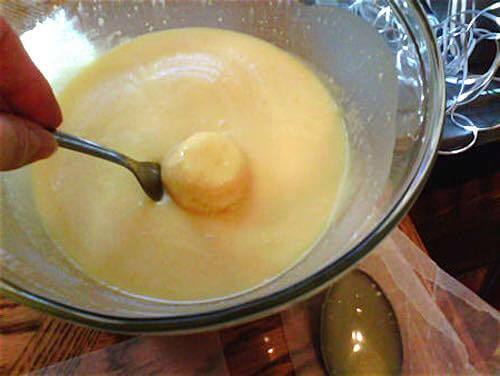 Tip: Use a 1 tablespoon measuring spoon and overfill it since not all the batter will come off the measuring spoon. 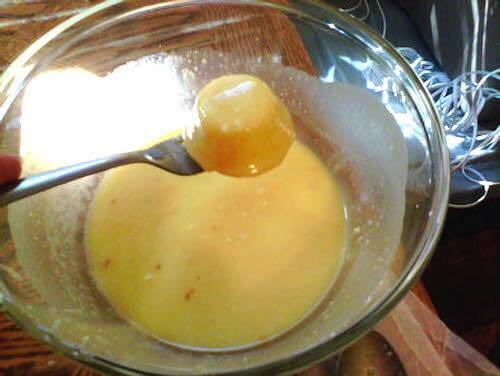 To avoid dripping, flip the spoon over as you're bringing it out so that the drip rolls onto the back of the spoon. 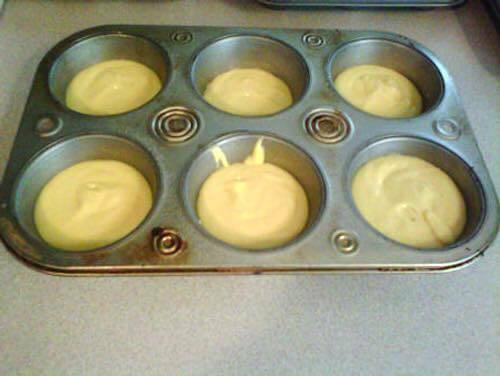 Wipe any excess batter off top of pan and smooth muffin pan edges. 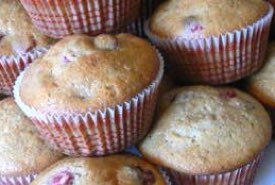 If you have leftover batter, spray another pan and make more muffins. I usually make a pan of larger muffins. 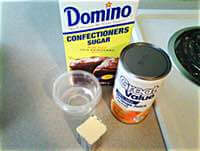 These can be iced with cake icing, or you can use the orange glaze; however, you will likely need to make extra glaze if you plan to do that. 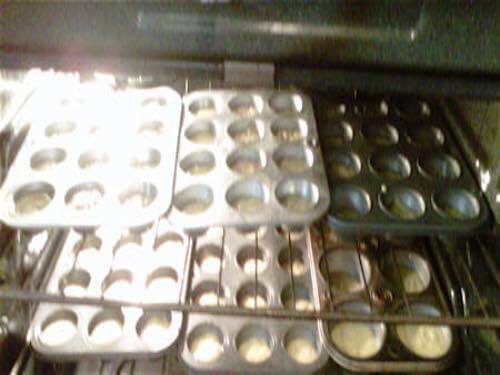 Arrange pans in preheated oven and set the timer. I prefer to cook mine at 325°F for about 12 minutes. You may want to try 10 minutes first, then check to see whether they are done. 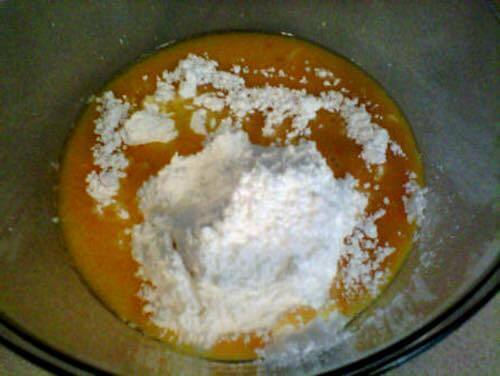 While the muffins are baking, mix the ingredients for the orange glaze and stir until it's thoroughly mixed. If you have a fresh orange available, you can add a little zest to the mixture for added flavor. Aside from this lemon muffin recipe, the orange glaze is also excellent as a topping for pound cakes. 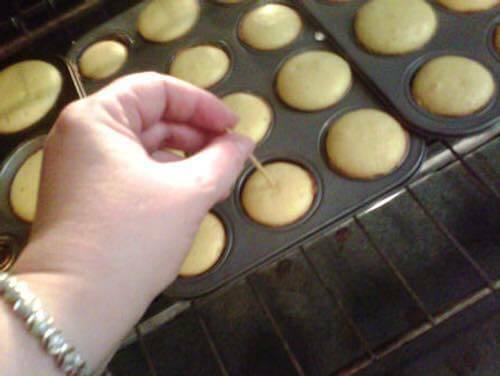 When the 10 to 12 minutes baking time is up, use a toothpick to check muffins to see whether they are done. If done, the toothpick should come out clean without any batter sticking to it. NOTE: Darker pans cook faster so if you want all your muffins to look the same, you can take those pans out a little sooner. Otherwise, don't worry about it. 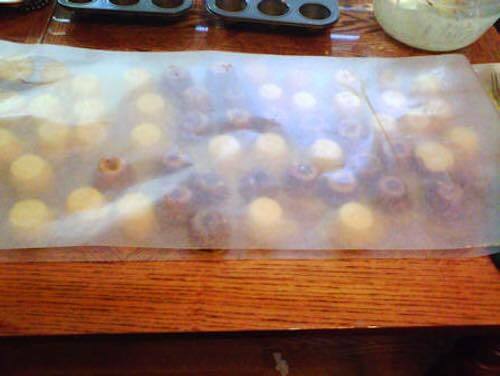 Carefully remove each muffin and place it on a large piece of wax paper. 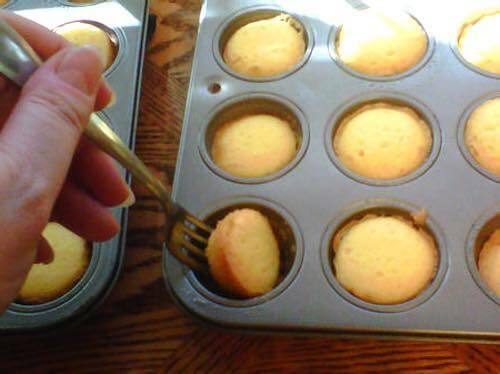 Using a fork, carefully loosen and raise one side and lift the muffin out. 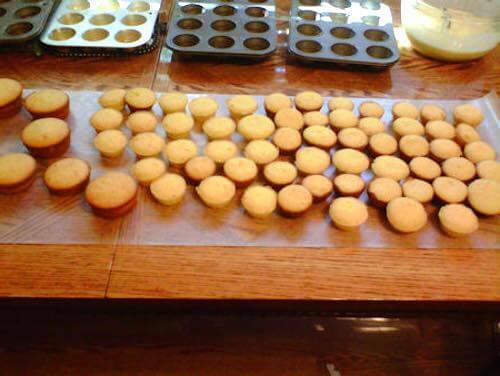 Arrange the muffins close together ready for glazing. This is just a work preference. 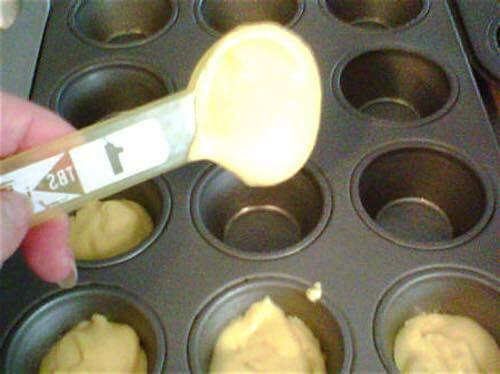 Dip each muffin into the orange glaze. I dip the bottom first then flip it with my fork and let the top soak up some glaze as well! If you aren't sure how much orange glaze you like, you may want to try dipping just the muffin top first. Hold muffin over the bowl for a moment to allow any excess glaze to drain before placing the muffin back onto the wax paper. 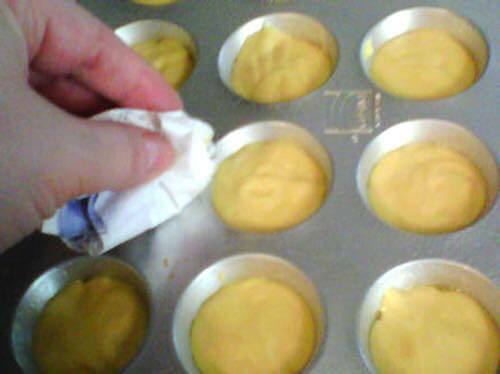 Once all muffins have been dipped and dunked and have lots of glaze, cover them with wax paper and allow the glaze to dry. 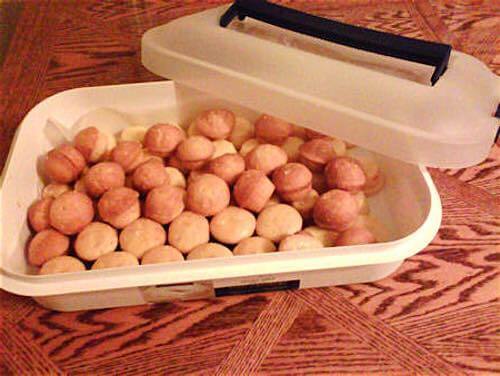 Package your tasty muffins in an airtight container for transport or for serving fresh and moist later. Why not try this easy lemon muffin recipe tonight? Enjoy serving your homemade glazed muffins to friends and family.